Bob Engelbrecht tells each of his 60 pilots that a grandmother should feel comfortable flying in a Sundance helicopter. Grandma might also feel quite classy, having just been escorted to the terminal in a limousine, as she walks across the tarmac to one of the company’s new $3.3 million EC130T2 Airbus Helicopters, painted silvery chrome and gold, glistening in the sun at McCarran International Airport. By 2018, Sundance Helicopters’ entire fleet of 24 sightseeing helicopters will be converted to the EC130T2s, from a fleet of from AS350B2s and EC130B4s. The ride is smoother, the engine is more powerful and most importantly, Engelbrecht said, the experience is safer. 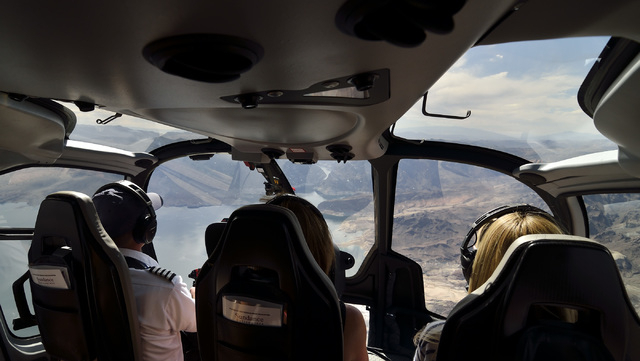 The EC130T2 seats six, plus the pilot, and includes upgraded air conditioning, an anti-vibration system, more leg room, leather seats and a Bose sound system. So far, there are four new choppers in the group, with four more expected to be delivered by the end of this year. The transition from red to gold, the $80 million upgrade of the fleet and a $2.5 million renovation of the terminal is all part of a massive rebranding effort by Sundance, Engelbrecht said. 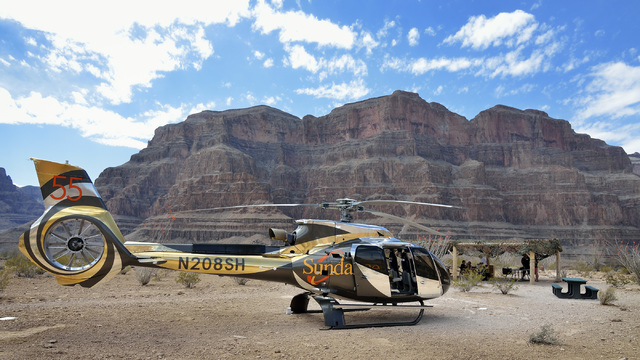 Sundance first started helicopter tours of Las Vegas in 1985, and has since flown more than 4 million passengers. The company touts itself as the longest-running helicopter tour operator in town. About 200,000 people fly on Sundance helicopters each year, yet the company wants to polish its image. In December 2011, a Sundance helicopter crashed into a ravine near Lake Mead, killing all five people onboard. Engelbrecht joined the company in August 2012, and brought 40 years of experience with him. Four months later, Sundance was acquired by Air Methods, an emergency medical services helicopter company. 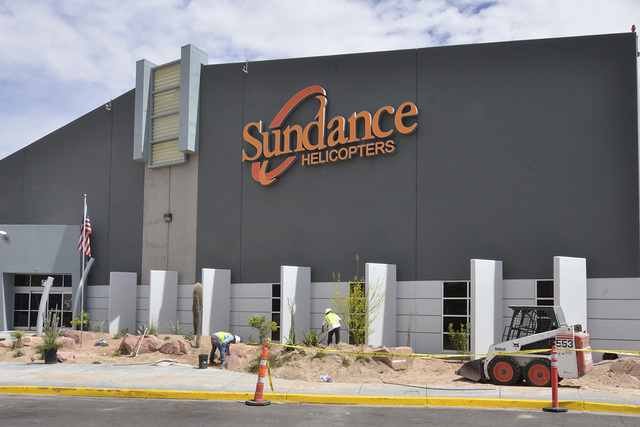 That acquisition helped Sundance upgrade its safety technologies, Engelbrecht said. 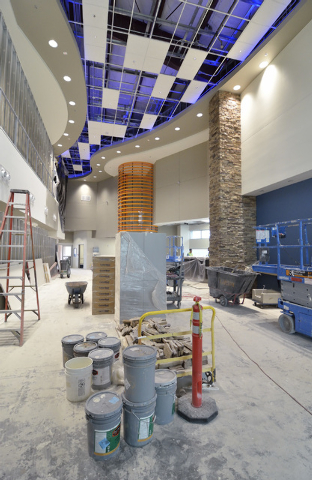 The 2,000-square-foot expansion, which includes a VIP lounge area, free Wi-Fi and charging stations under a 25-foot canopy, is expected to be completed May 1. The company, which brings in about $50 million a year in revenue, employs 175, including the pilots and 30 mechanics. Tours over Las Vegas start at $100 per person, while the Grand Canyon tours on the Hualapai Indian Reservation range from about $350 to $670. 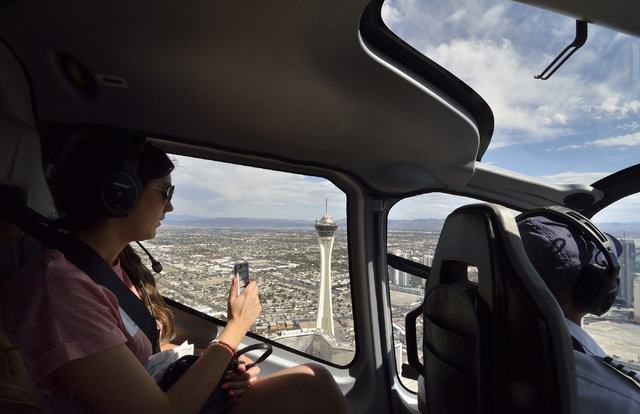 The shortest tour, a flight over the Strip, takes about 10 minutes. A twilight tour over the Hoover Dam and the Strip takes about 30 minutes. A tour of the Grand Canyon, including a picnic near the Skywalk, takes a little more than two hours. 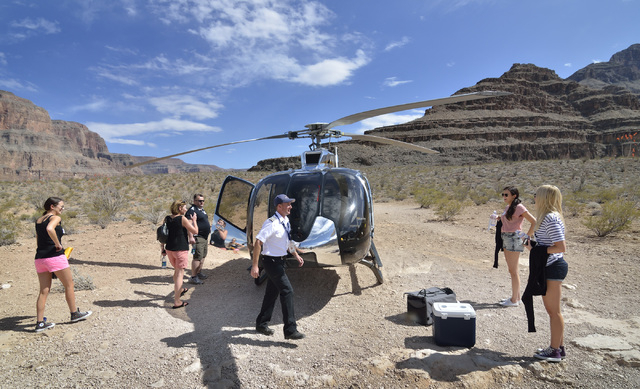 Sundance also offers flights to Valley of Fire for weddings and packages for larger groups and corporate excursions. One of the company’s newest tours drops passengers at the rim of the Colorado River, where they can hop on a raft and take a 45-minute trip through rapids. “Helicopters are about taking you and inserting you in a place that you wouldn’t otherwise be able to get to,” Engelbrecht said. Sundance partners with a limousine service to pick up passengers at their hotels. Check-in at the terminal only takes a minute. Each passenger is given a name tag with the flight number and an information sheet that provides a few details about boarding the aircraft. Engelbrecht compares the helicopter experience to “a magic carpet ride,” enclosed in glass. 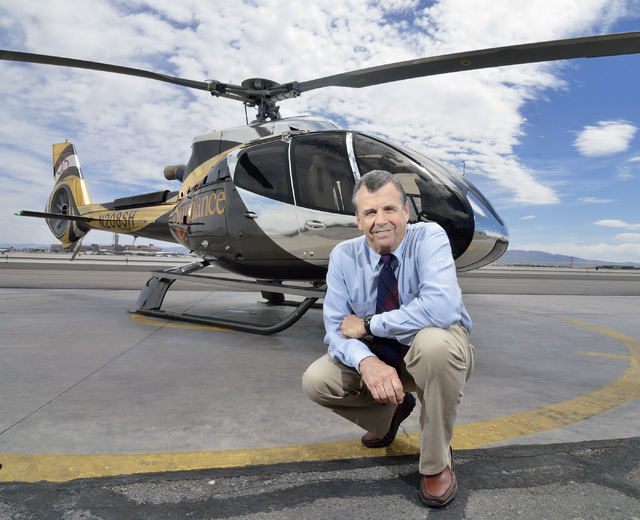 Engelbrecht said passengers come from around the world to ride in a helicopter to the Grand Canyon, and there are more foreigners than U.S. citizens. He recognizes that they’re paying for one of the top-dollar attractions in Sin City. Contact reporter David Ferrara at dferrara@reviewjournal.com or 702-387-5290. Follow @randompoker on Twitter.